I appreciate a good strategy game as much as the next gamer, and for me, I've always had a soft spot for the few RTS titles out there that try to offer up warfare on a huge scale, like Sins of a Solar Empire and Supreme Commander. 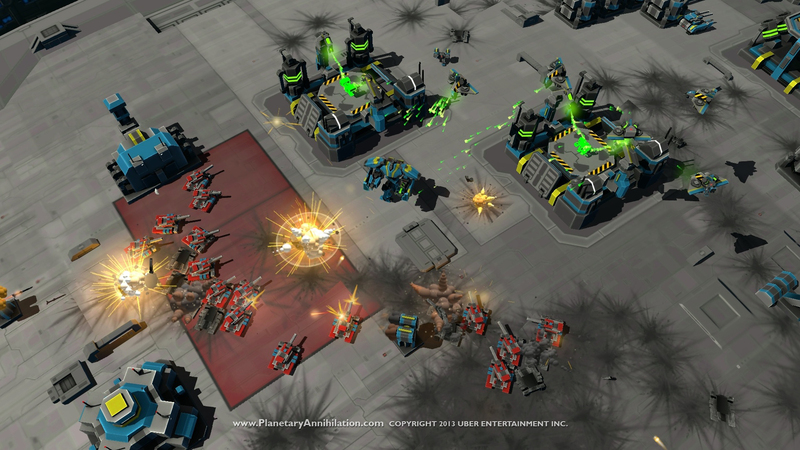 So you can imagine how excited I was to check out Uber Entertainment's Planetary Annihilation, a successfully Kickstarted title designed by many of the developers behind Total Annihilation and the Supreme Commander games, at PAX East this past weekend. 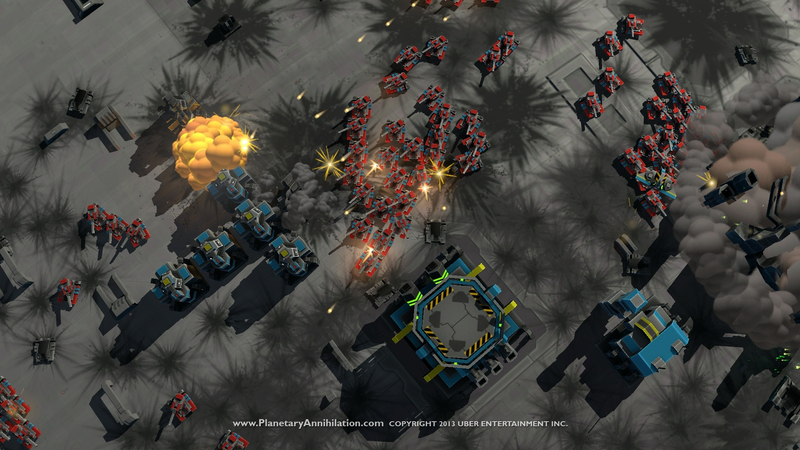 Planetary Annihilation is an RTS that aims at warfare on a macro-scale, with multiple players battling across multiple locations with huge armies. The game itself just entered the "Gamma" phase of development in late February, with Uber's team polishing up the overall experience and adding in a last few features to the game. 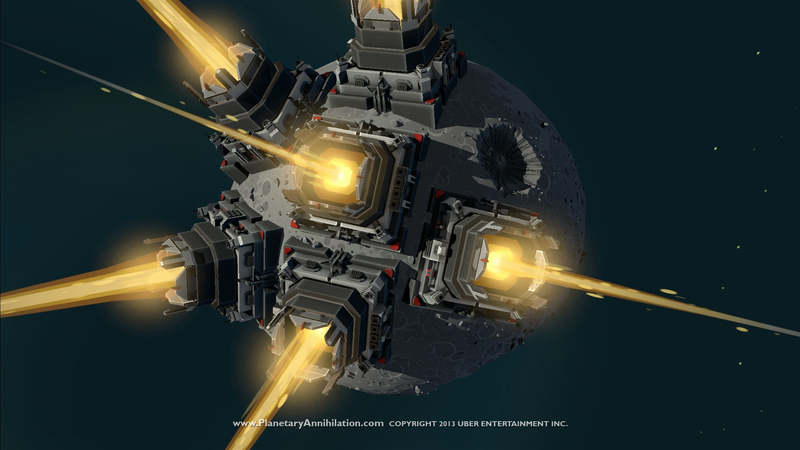 In its current form, Planetary Annihilation supports up to 10 players at once, but Uber hopes to increase that cap to a whopping 40 players by the time the game is fully completed (Jonathan Mavor, Uber's CTO, mentioned that some early access players have actually managed to break the game to achieve games featuring that many players already). There's no exact unit cap in place, either, so players can amass armies in the thousands, leading to anything from small scale skirmishes at a single landmark to multiple battles across multiple fronts. 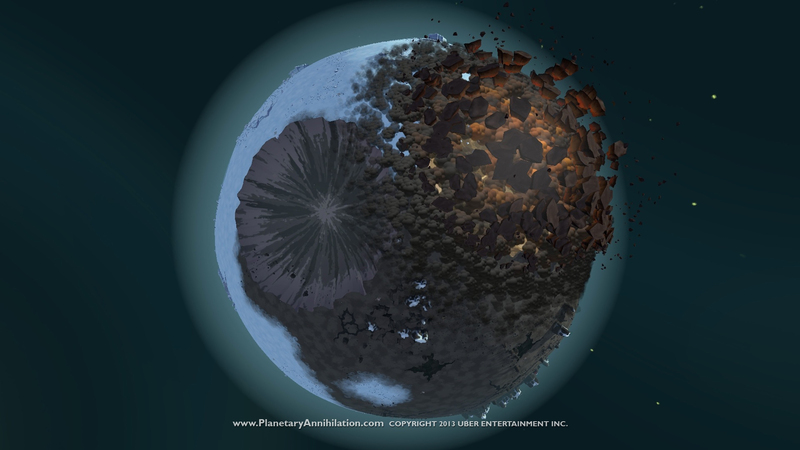 Unlike most strategy titles, which typically take place on a 2D plane, Planetary Annihilation takes places on fully 3D planets in a solar system, which can contain many worlds at a time. The worlds players can conquer vary from barren moons, Earth-like biomes and volcanic hellholes complete with lakes of lava, although there was mention of planets like gas giants in the works that might offer even more variety. 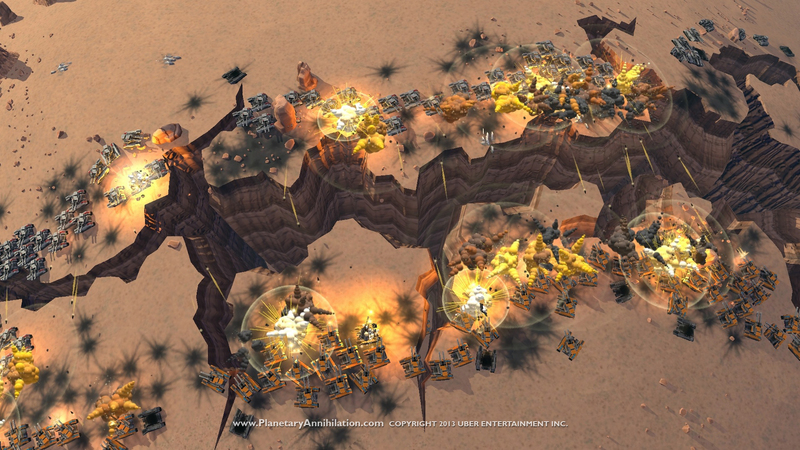 The terrain of each world can be a deciding factor in how an aspiring general can defend or attack a location- if you bunker up on top of hills, as an example, you'll be able to defend your base more easily from a ground assault than if you had built upon flat land. There's also three 'levels' to combat on a planet's surface - ground, aerial, and the orbital shell - further adding to the size of the game as you'll have to manage your military forces in different zones in order to defeat your enemies. 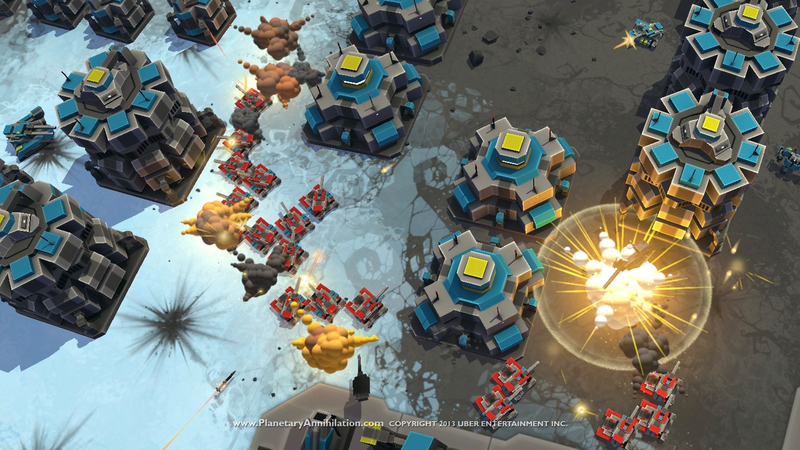 With the potential for ludicrously large-scale wars between multiple opponents and allies, Planetary Annihilation has a few unique features available to help players manage their military might in a massive game. 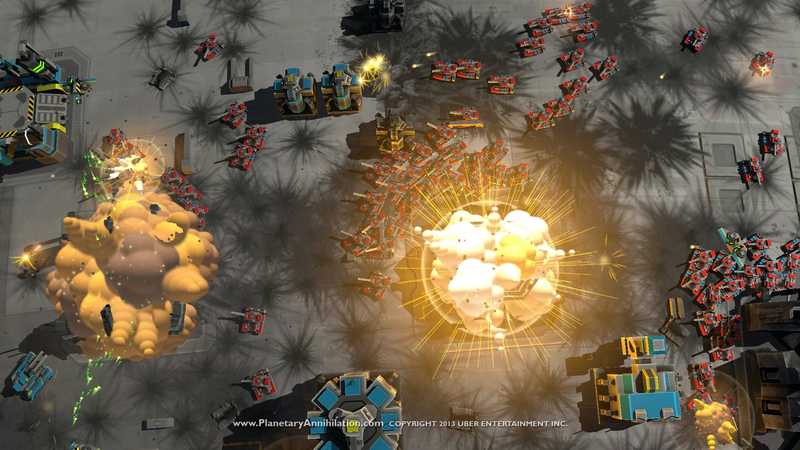 For one, the game has a picture in picture mode available, letting you set up a secondary camera in the corner of the screen and enable you to quickly control different units or bases located on opposite ends of a planet (or planets). 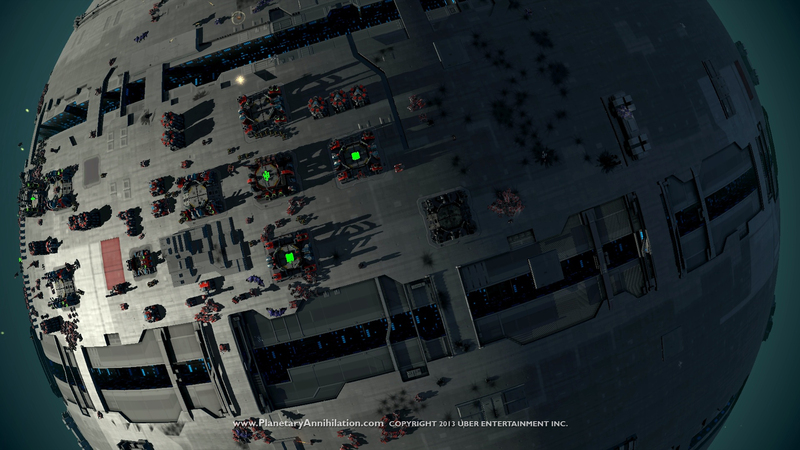 In addition, Planetary Annihilation also has a feature called ChronoCam, which live-records your game while you play. Should you want to go back and look at a particular event that occurred since the game started, you can easily do so in real-time without pausing your current game, and then just jump back to present when you'd like. 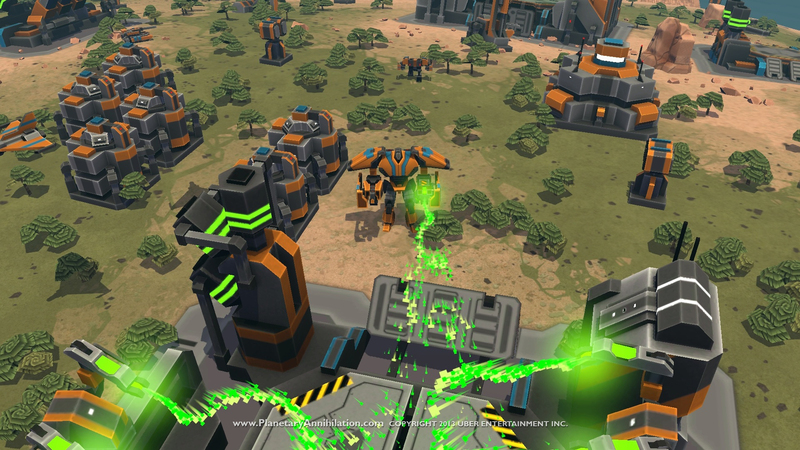 Uber is also hoping to incorporate Steamworks into future versions of Planetary Annihilation, possibly allowing players to design their own unit aesthetics, gameplay modes, and host their own private servers. 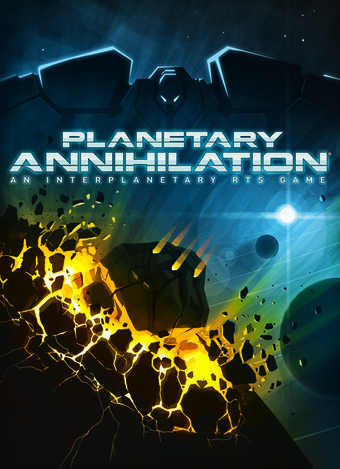 The final version of Planetary Annihilation is scheduled to arrive later on this year, but you can pre-order it through Uber's website, or pick up the game through Steam Early Access.